Our colleague Bruce has a book coming out! It’s called Designing with LibreOffice. 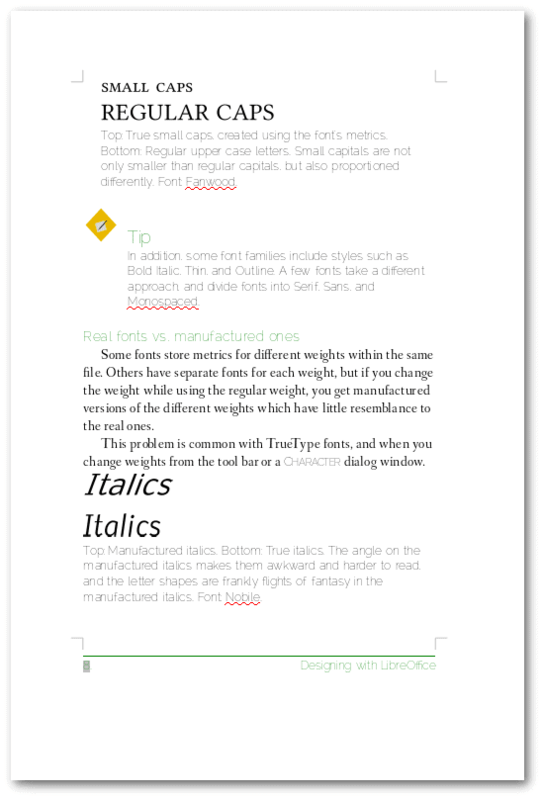 It tackles the subject of how to make documents look good and professional, while taking advantage of all the design features LibreOffice has to offer. So I got together with Bruce and we talked about his book, LibreOffice, design, and the eternal struggle of documenting Open Source projects. Bruce probably doesn’t know this, but I have known him much longer than he has known me. For many years I translated his articles on using the Linux command line for Linux Magazine Spain. I didn’t translate many articles because I was supposed to be the Editor-in-Chief, but I did do Bruce’s. Firstly because they were about the command line — enough said. And secondly because they were clear and straightforward, and more a joy than a chore to translate. Believe it or not this is a rare quality even in technical writing. So, when Bruce approached me asking if we would be interested in him writing for OCSmag, it was one of those proverbial offers I could not refuse. And now Bruce has written a book! I have read some of the next-to-last draft, and Designing with LibreOffice is as clear and straightforward as his articles, so to celebrate the impending launch, we decided to get together so he could tell us more about his book and his experience documenting open source projects in general. Paul Brown: Hi Bruce! How are you? Bruce Byfield: Pretty excited, actually. I’m used to be the interviewer. Paul Brown: It’s more like an informal chat, so don’t be nervous. Let’s start with the book, You have written quite a bit about LibreOffice over the years, including for OCSMag. How come it became your pet topic? Bruce Byfield: I’ve always been interested in LO and OpenOffice.org. I was at the O’Reilly conference in Monterey when the OOo code release was announced. For years, I had a T-shirt from the release, but parrot beaks finally did it in. A few years later, I tried to write a book on OOo. I did a death march through the menus, and finally gave up after about 1400 pages. Having all that material, I started to use it for articles. Bruce Byfield: Yeah, it was ridiculous. Paul Brown: That’s a lot to give up on. Bruce Byfield: Exactly, so I thought I should make some money from it. There was a time when I was worried I would be identified solely with OOo. However, I’ve sold about 1800 articles on FOSS, so that no longer worries me. Paul Brown: One sec… So in this “book” basically you were writing something like “File > New: This option creates a new document…”? approach. It taught me OOo, but it was unpublishable. In Designing with LibreOffice, I’ve avoided that approach as much as possible. I started with Jean Hollis Weber‘s request for a book on styles and templates. Then I realized that for talking about styles to be meaningful, I would have to write about typography as well. 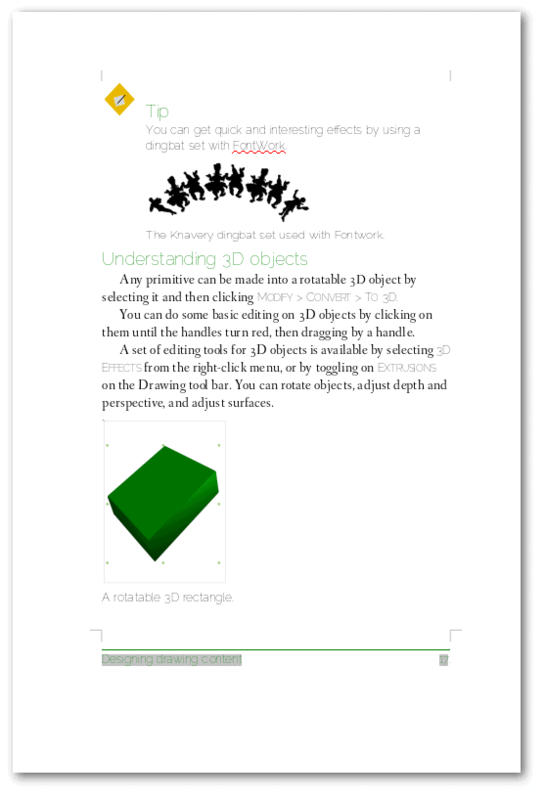 Paul Brown: That’s why your current book, Designing with LibreOffice is, well, about design. Bruce Byfield: Jean, I suspect, was probably a little shocked at what her simple request had turned into. But she was kind enough to let me develop things my way. Once I knew I was writing about design, I could keep things to a reasonable length. Paul Brown: What LibreOffice applications do you talk about in the book? I guess there’s not much on Base, for example. 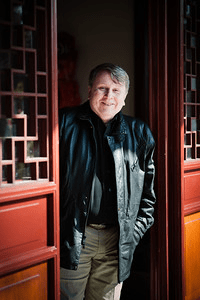 Bruce Byfield: No, I decided to limit the book to Writer, Calc, Draw, and Impress. Bruce Byfield: Calc uses styles and how you set up a spreadsheet has a lot to do with its efficiency. However, Calc design is very different from Writer design. With Writer, you’re dealing with a 500 year old tradition derived from print. By contrast, Calc draws on a much newer, mostly online tradition. Spreadsheets are much more practical than text documents. For instance, what would be garish in Writer is acceptable in Calc. Get me started talking about fonts, and you’ll probably regret it. Bruce Byfield: Well, in a text document, you would want to design a table to match the rest of the document. That usually means the result would be fairly sedate. By contrast, in a spreadsheet, often the more garish your colors, the more easily you can pick out — for example — the tasks assigned to a particular person in a project management sheet. 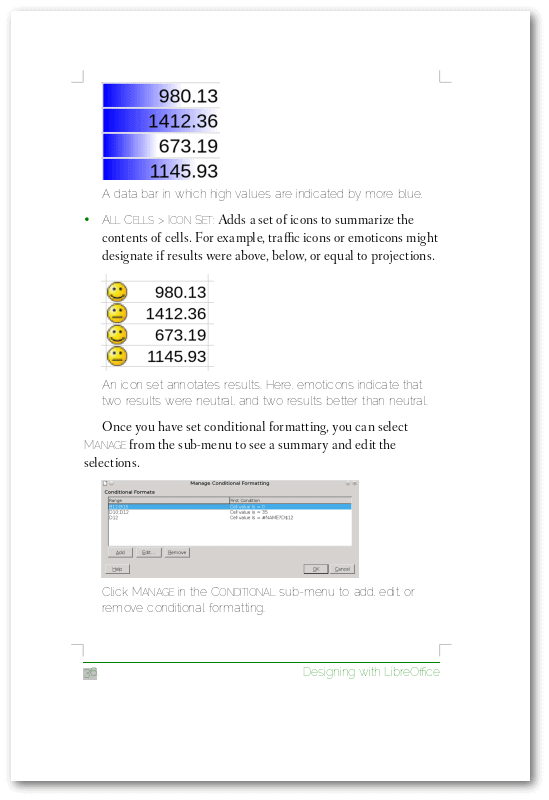 Paul Brown: How do LibreOffice’s design features compare to those other office tools? Bruce Byfield: LO, especially Writer, is a lot more versatile than most users think. People think they’re getting a word processor in Writer, but they’re really getting a mid-level desktop publishing program. Moreover, no other office suite I know of has styles for spreadsheets, slide shows, or diagrams. Paul Brown: Really? I thought it was a standard thing (I don’t really know much about other suites). Bruce Byfield: LO and OO are still very close to each other, but LO has a few more features that make things easier. As for MSO, it depends on which app you are talking about. Writer is a much more advanced tool than MS Word. Calc and Excel are roughly equal. Impress lags behind PowerPoint, especially in support for sound. Paul Brown: I always hear people complain when they migrate from Word to Writer. Bruce Byfield: The challenge for new users is that Writer has a totally different logic from Word. The story I heard is that when StarDivision, the original source of the code, was being written, the developers were told that they would have to use it to document the program itself. So they made it a mid-level DTP. Today, Writer is cranky, and some features are still stuck in the 1990s — but it’s still the best word processor around. The developers [of Writer] were told that they would have to use it to document the program itself. Bruce Byfield: I got the story from someone at Sun Microsystems. I don’t know if it’s true, but I’d like to think it was. It would explain so many things. Anyway, the point is, Writer is based on styles. To use it efficiently, you’ve got to use styles and templates. Bruce Byfield: MS Word assumes short documents that won’t be used for any length of time. It has character and paragraph styles, but mostly it’s set up for manual formatting. Paul Brown: Do you find users sometimes use LibreOffice apps inappropriately, as in, they would be better off using something else? I’m thinking using Writer to try and do advanced layout, instead of using, say, Scribus. Bruce Byfield: Well, you can go a long way with advanced layout in Writer. It has a concept of the page, which MS Word doesn’t really have. But Writer doesn’t have all the fine control of Scribus. Mostly, the problem is at the opposite end. Paul Brown: As in not using features that are available? Bruce Byfield: Users who come to Writer with MS Word pre-conceptions are likely to have a hard time with simple things like the fact that headers and footers are set up in page styles. That’s the logical place for them, but MS Word does things differently. A lot of new users also resist the whole idea of styles. I’ve actually heard users say that the style orientation is a violation of their personal freedom. Paul Brown: Hah hah! That’s hilarious! Paul Brown: So, your book addresses these problems, right? Bruce Byfield: I have a section early in the book debunking the myths about styles, and showing how styles get things done with fewer keystrokes. I like to tell people that not using styles is like defining a variable every time you use it in a piece of code, and that styles are like a universal variables. Not using styles is like defining a variable every time you use it in a piece of code. Paul Brown: How would you explain styles to non-coders? Bruce Byfield: I use a different explanation for non-coders. I tell them they can set the format once, instead of each time they want it, then just apply it. I usually add that it means they can focus on content as they write, not formatting. Paul Brown: Is this sort of thing not addressed in LO’s official documentation? Bruce Byfield: Yes and no. Styles are mentioned, of course, in the official documentation. But they are not emphasized — just given as one set of options. Paul Brown: Hence your book. Bruce Byfield: That’s why I was so pleased to hit on the theme of design. It helps to create a feel for the overall design of the apps. Paul Brown: Don’t you find that documentation for Open Source projects is in general just… well… lacking? At least that’s my impression. Bruce Byfield: Thanks to Jean, LO’s is far better than most. But documentation is often an afterthought. Also, many programmers have had bad experience with technical writers. Bruce Byfield: Too many technical writers believe that all they need to contribute is the ability to write. They don’t want to explore for themselves, and you can imagine how well that goes down with FOSS people. Too many don’t even feel they need to understand the software they’re documenting, which is an attitude I don’t understand. Because of this attitude, a lot of documentation, in and out of FOSS, is incomplete and of limited use. So technical writers get a bad reputation. Paul Brown: That is a luxury FOSS cannot afford. Bruce Byfield: When I used to work as one, with each new contract I’d have to prove my own competence. It became much easier after I started using Linux. Telling that to developers meant instant acceptance. Then being able to show them an article I’d published in Linux Journal. The first thing a development team does after a release is go on holiday, which leaves the poor writer scrambling for information. Paul Brown: What I don’t understand is the afterthought thing. Surely lousy documentation will negatively impact the adoption of an application. Bruce Byfield: The afterthought problem is poor planning. It’s almost always a disaster, because the first thing a development team does after a release is go on holiday, and re-introduce themselves to their spouses. Which leaves the poor writer having to scramble for information and usually to do six months’ work in two weeks. Also, a writer who comes in early in the development cycle can double as a tester. Paul Brown: I guess it keeps people like us in business, but I can’t help feeling that line of reasoning is a bit like the fallacy of the broken window. Paul Brown: Yes… A kid breaks a baker’s window. The baker has to order a new one, creating work for the glazier. Onlookers think: “Ah! Now there’s a way to activate the economy”. Paul Brown: But, in the long run, society suffers a net loss. In our case, I don’t want to have to explain the basic stuff. That should already be covered by a project’s own documentation. I want to explain the cool, creative stuff you can do with the software. Bruce Byfield: No, I don’t all the time, either. But there’s a certain satisfaction in making things clear to everyone. Paul Brown: Yes, you’re right, I guess. Bruce Byfield: I used to be an English instructor, so clarity is a high value to me in writing. One of my writing heroes is George Orwell, who spent much of his life explaining things clearly. Paul Brown: Huh. That’s weird. I was an English teacher for 20 years too. Bruce Byfield: I call myself a recovering academic. Paul Brown: … And I am a complete Orwell nut. Paul Brown: Birds of a feather, I guess. Paul Brown: When an unexperienced writer asks to write an article for Ubuntu User or whatever, s/he gets sent to Orwell’s Politics and the English Language. Bruce Byfield: Rules to live by. Or at least write by. Paul Brown: Back to LibreOffice… You explained that many new LO users underuse styles, but what other essential features do they miss? Bruce Byfield: They see Outline Levels, and think it’s a tool only for outlining. In fact, it determines which styles LO displays in Navigator, or automatically uses to generate tables of contents. You can manipulate it for some interesting hacks. For example, if you add the Body Text paragraph style to outline levels, the Navigator becomes a much stronger outlining tool. Also, of course, they don’t develop templates, and have to design each document from scratch. Bruce Byfield: a dedicated article… Hmm. Paul Brown: For OCSmag, of course. Paul Brown: Have you used MSO a lot? Recent versions? Bruce Byfield: Sometimes, for my sins, I had to use MSO to write manuals. These days, I keep an eye on it, but mostly stay away unless I’m doing a comparison article. Paul Brown: Good enough. What, if anything, would you like to see adapted from MSO to LO? Bruce Byfield: Nothing major. But there are always small features, like using sparklines in a spreadsheet that could be adapted. A lot of people haven’t realized yet that FOSS is no longer playing catch up, It’s very comparable to proprietary equivalents in many areas. A lot of people haven’t realized yet that FOSS is no longer playing catch up. Paul Brown: Sparklines… These are bars in cells that reflect tha data the cells contain, right? Bruce Byfield: Yes. Calc has some similar features, but not for sparklines. You have to shrink down a chart, which can be awkward. Paul Brown: Where will people be able to get/buy Designing with LibreOffice? Bruce Byfield: It will be available from the book’s site. We’re just putting the final touches on the site. It uses pictures from the Sun Yat Sen Classical Gardens in Vancouver. The Garden is based on the landscaping philosophy of feng shui. Feng shui garden design is intended to make everything look natural, although every detail is planned. I thought it is a good metaphor for typography, since in both the planning should be unnoticeable. To make everything look natural, I should say. It also lets me use my own pictures for the cover and title page designs. I’m proud that both the content and the design are mine. Paul Brown: Those are you pictures? You are a man of many talents. Paul Brown: How much will it cost? Bruce Byfield: The price will be around US$20. Once the whole book is out, it will be available in 4 parts for those who only want part of the contents. Those parts will be US$5-8, depending on their length. Paul Brown: These are PDFs we’re talking about? Bruce Byfield: We’ll publish both PDFs and paperback hardcopy. The PDFs are available for free. So will the LO files. Paul Brown: So… You’re going to be able to buy a hard copy of part of the book? Bruce Byfield: Yes. We are distributing it under a CC Attribution-Sharealike license. Paul Brown: Is Designing with LibreOffice available yet? Bruce Byfield: Jean just signed off on it yesterday, so it should be released in early April. I would like to mention that I couldn’t ask for a better editor than Jean. She didn’t agree with all my choices, but she also allows for differences of opinions and style. 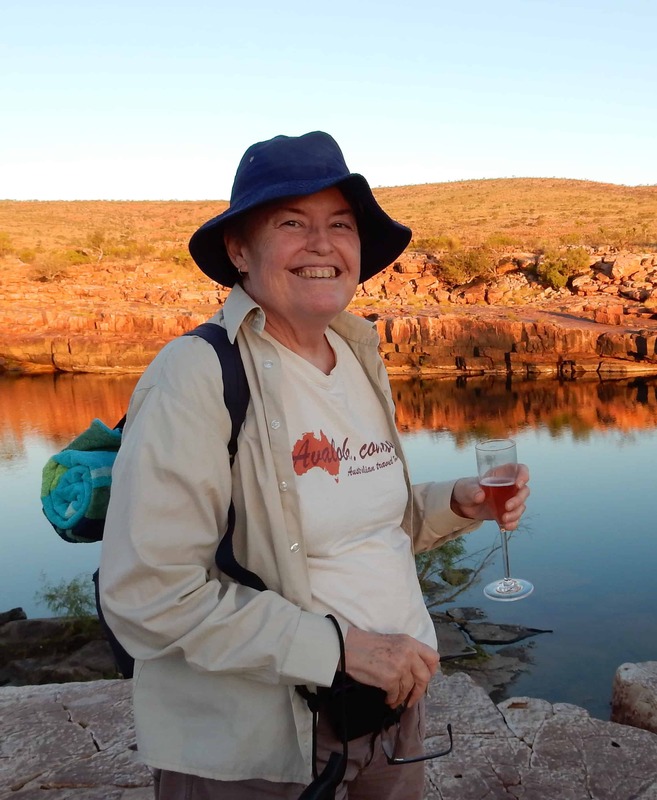 Paul Brown: Jean has herself published books on LibreOffice and OpenOffice, I understand. Bruce Byfield: Yes, for over a decade now. She has also been straw boss at ODF Authors. Paul Brown: A good person to team up with. Bruce Byfield: In fact, when she goes on holidays, production goes much slower. She also has years of professional experience. We’re also considering a sequel or two, although nothing definite yet. Paul Brown: Even if it is 500 pages long, I doubt you would have covered everything. Bruce Byfield: No, things like mail merges didn’t squeeze in. Paul Brown: So… What? A year from now we’ll be talking about DWL – Part II? Bruce Byfield: Well, maybe not Design. Perhaps a book aimed at certain audience, like self-publishers? A collection of templates? LO has a lot of stuff that people should know more about. 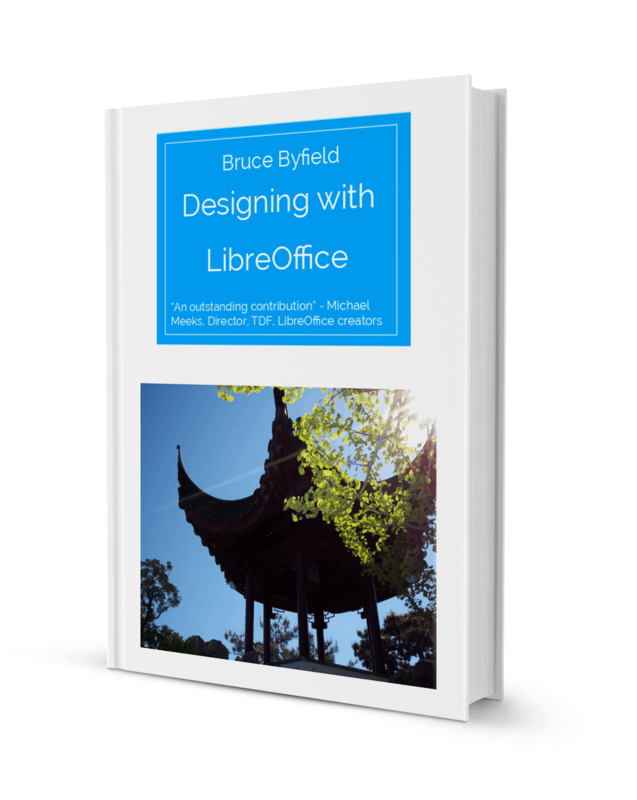 Paul Brown: Maybe a LibreOffice cookbook like O’Reilly produces? Bruce Byfield: Anything’s possible. Whatever the subject, I might try crowdfunding next time (if there is a next time). What I really appreciate is the sense of doing something useful that nobody else is doing. With a few updates and new screen shots, DWL could remain useful for another decade, being updated by me or someone else. So far, the advanced readers have been very positive. And Lee Schlesinger, my former editor at Linux.com, just finished proofing it and found nothing major wrong. So I’m starting to believe that we just might pull this off. Paul Brown: Sounds great. I’m sure it will be a success. Thank you ever so much for your time Bruce and a lot of luck with the launch.